Your home is the ultimate expression of your personal sense of style and taste. 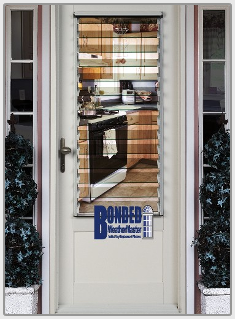 At Bonded Products we want to inspire you to achieve your goal of creating a home of distinction. 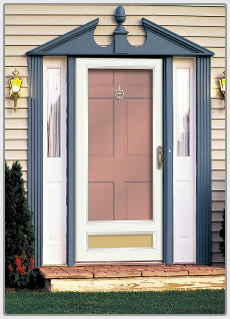 Your entry door is the focal point of your home. 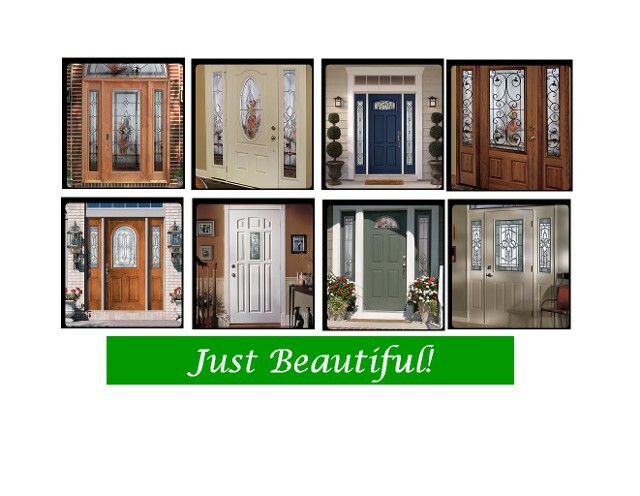 We provide a wide range of door styles, glass designs, colors, stains, and hardware. Whether its steel, fiberglass, or textured steel, our offerings of panel designs and glass configurations are sure to enhance any architectural or design need to enable you to create your own masterpiece. 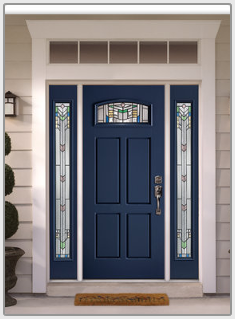 Camelot® Decorative glass doors feature hand crafted styles made by highly skilled craftsmen who precisely cut, miter and solder each component into artistic patterns. Each glass is individually crafted using a variety of glass bevels and caming options including brass, platinum, zinc, patina, and antique black for a variety of options. Decorative glass allows the sun to sparkle with every reflection. Whether you choose full glass, half moon or anything in between, our glass styles will be sure to complement any home.We have hundreds of styles, finishes and options that will make a grand entrance even more stunning. Choose an insulated steel door for its added energy-efficiency, security, and low-maintenance features. Fiberglass doors offer long-lasting, low-maintenance performance, plus the subtle texture of woodgrain. Decorative glazing, sidelites, transoms and more can be added for a truly “grand entrance," and all can be complemented with etched, leaded, or stained glass. All of our products feature "Quality from the outside in." This winning combination of aesthetic beauty and inner strength means that your doors will maintain their value for years to come. 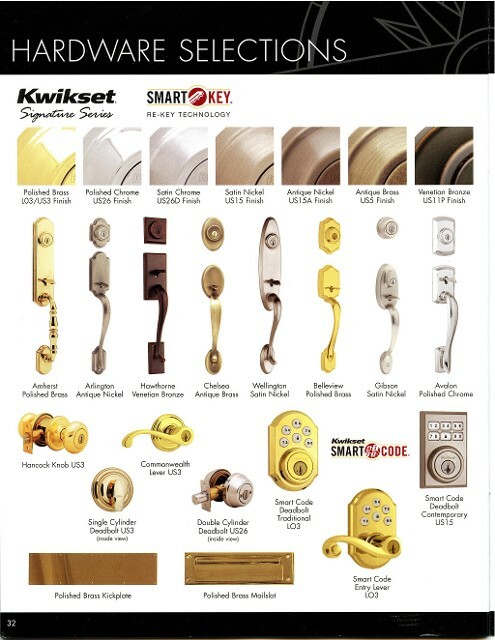 We offer over sixty (60) classic door designs to choose to meet your needs. 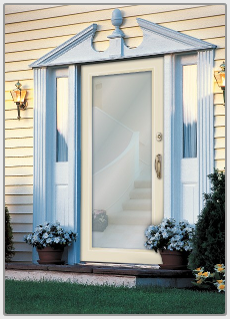 All doors that have glass are furnished with clear tempered insulated safety glass. Optional Low E, Rain, and internal Mini-Blinds are available for most styles. 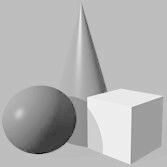 These styles are available in smooth or textured steel and fiberglass. Our extensive inventory allows us to offer more sizes, allowing for customization to fit your home. Summer heat may be trapped in between the storm door and entry door leading to condensation build-up, damage to the entry door’s paint finish or glazing bead. With the help of our trickle vent, the Titan Heat Vent, the hot air is given a path to exit. On the inside top frame of the storm door, a sliding vent cap can be opened during the summer and closed during the winter. This aluminum, no plastic low profile device is easy to use, unobtrusive and factory paintable to match our storm and entry door colors. 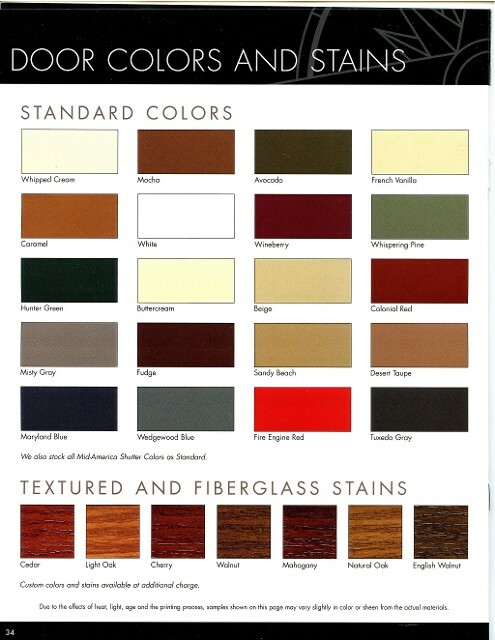 20 Beautiful colors & 7 gorgeous Fiberglass Stains bring out the beauty of the fiberglass and steel Camelot Entry Doors. Factory finished on all 6 surfaces insures a seemless, timeless addition to the beauty of your home. Custom colors can be ordered also. Matching storm doors are offered to protect the new door in the same colors.